To commemorate this week's launch of Grand Theft Auto V on the PC, Rockstar Games worked with Digital Storm to create a one-of-a-kind, handcrafted Velox Custom Performance GTAV PC with the express purpose of giving it away to one very lucky fan. The design features a satin metallic black automotive paint finish, a laser engraved tinted window showcasing the Grand Theft Auto V logo prominently, plus software controlled LED lighting. And it's not just a looker, this custom machine is armed with a six core Intel® Core i7 processor, an ultra-fast Intel® SSD 750 Series, dual Nvidia® Titan X graphics cards and custom rigid tube liquid cooling, so you'll have what you need under the hood to run GTAV at a blistering 60 frames-per-second and at 4K resolution. Enter before May 1st at the Rockstar Games Social Club here for the chance to win this awe-inspiring rig. Good luck and join the fun in the forums! 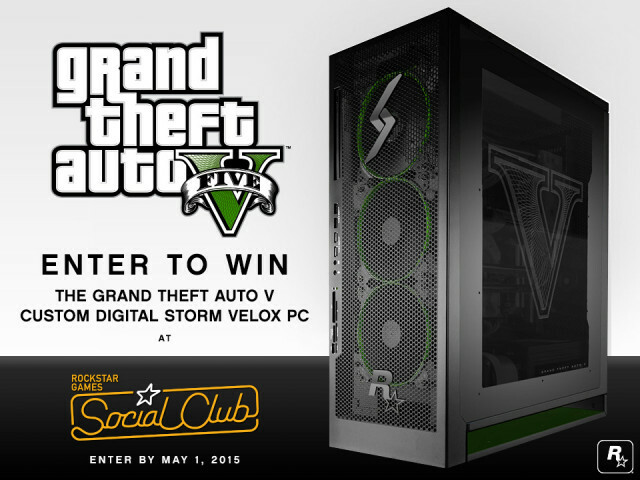 Rockstar Sweepstakes: Custom Digital Storm Velox PC - Don't a have a gaming PC? Or want another? 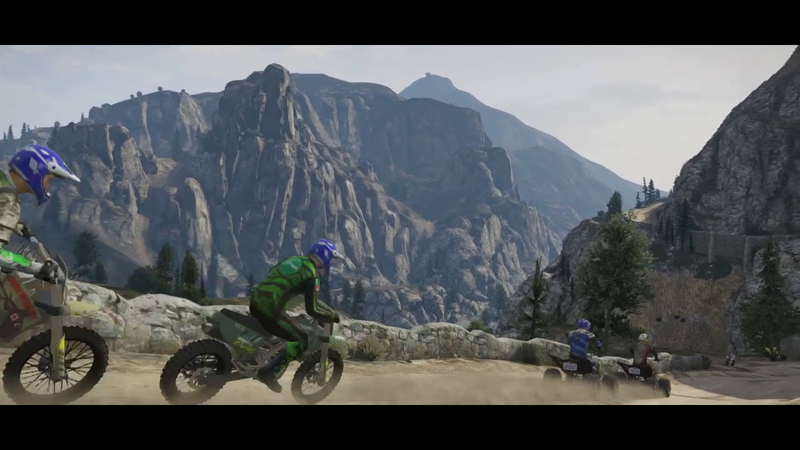 Rockstar Games is giving away an awesome customized GTA V PC.